Thronebreaker: The Witcher Tales utilizes the CCG formula for its gameplay, as you take on an opponent’s deck with one of your own. Sometimes matches will last three rounds, while others will be limited to just one. It’s often easy to tell when things aren’t going to end well for you, and that is when you want to forfeit and try again rather than finishing the whole match. Forfeiting is actually very simple to do in Thronebreaker, and you can do it as soon as the match begins. All you have to do is bring up the menu and flick through the tabs until you reach the forfeit tab, which is all on its own. It’s accompanied with a cute little chicken icon, which seems to be the developer’s not-so-subtle way of letting you know what they think of the act you’re about to commit. Just click the button and the match is over. Thankfully, you don’t have to live in shame for too long upon forfeiting a match. Options will come up shortly after your defeat that will let you either retry immediately or restart from your last checkpoint. Hitting retry will get you back in a match in no time, allowing you to get your next attempt in quickly. While forfeiting is obviously a great way to save time when you know that you can’t possibly win, there are also times when you can use it to help you win certain matches. The game features puzzle matches that limit the cards you can use, though you’ll still be choosing at the beginning which ones you start with. Seeing as what you initially have at your disposal is random, you can just keep forfeiting until you get the perfect deck that will allow you to win the battle. It ain’t pretty, but it gets the job done if you’re really stuck! 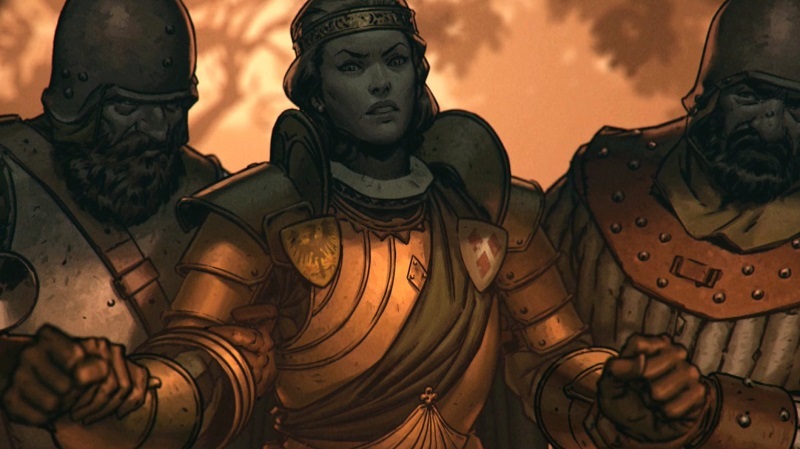 Thronebreaker is available now on PC, PlayStation 4 and Xbox One. Be sure to check out our review if you’re debating on picking the game up, as well as our guides on how long it is and how saving works.